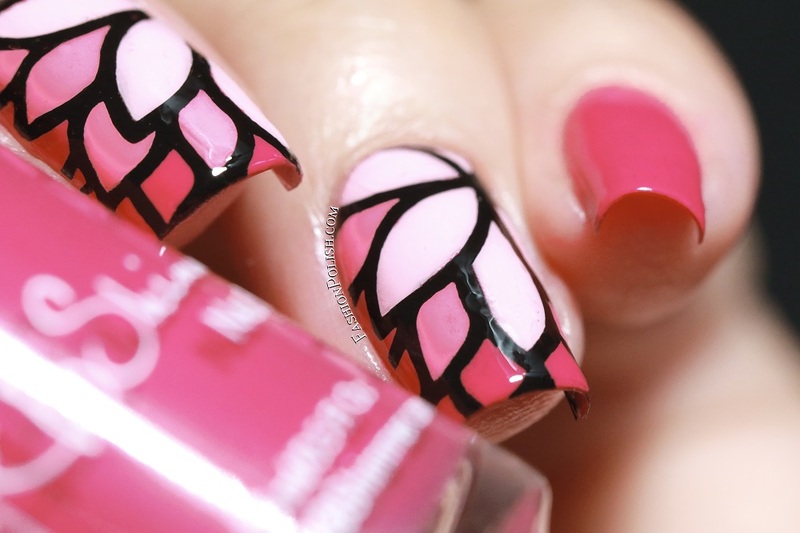 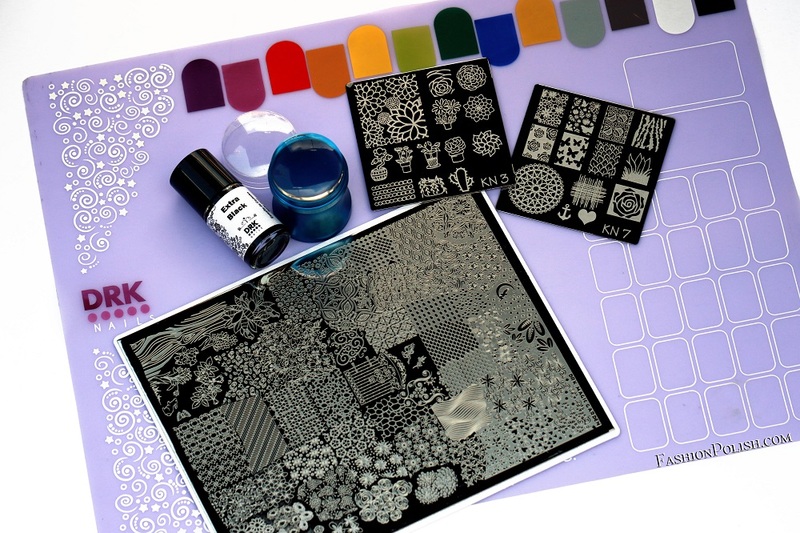 Fashion Polish: DRK Nails stamping goodies review and nailarts (feat. 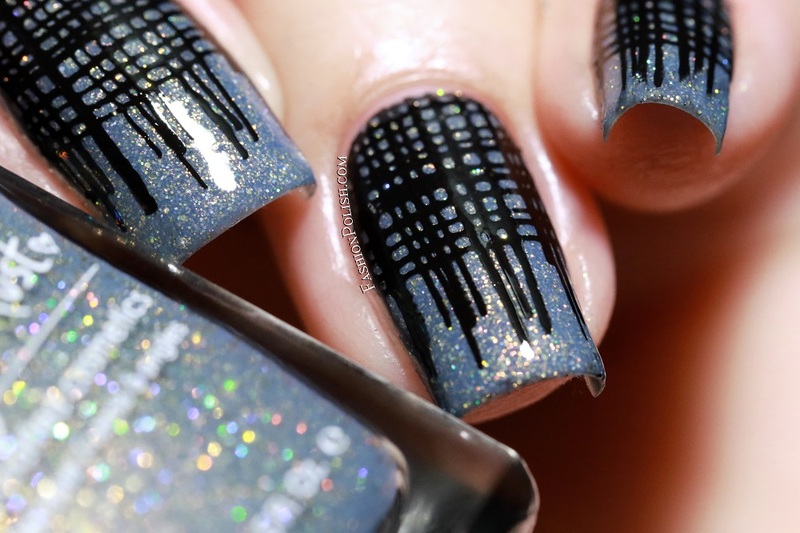 NEW Kelly Negri / Esmaltes da Kelly plates)! 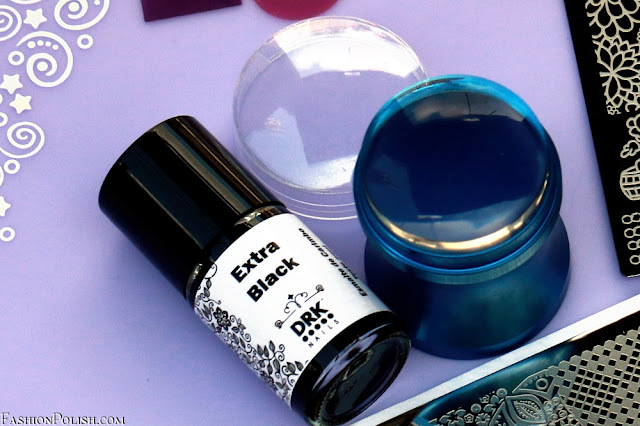 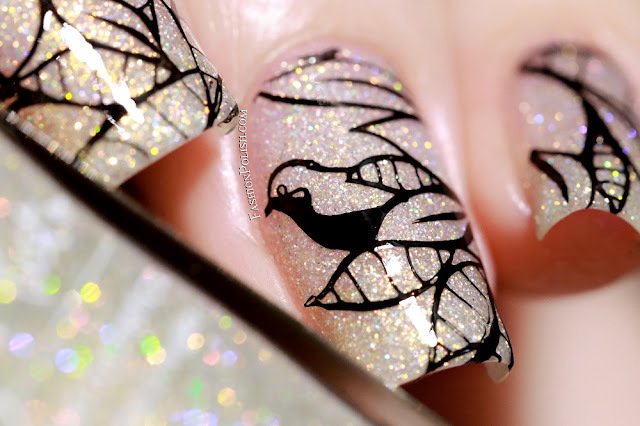 DRK Nails stamping goodies review and nailarts (feat. NEW Kelly Negri / Esmaltes da Kelly plates)! 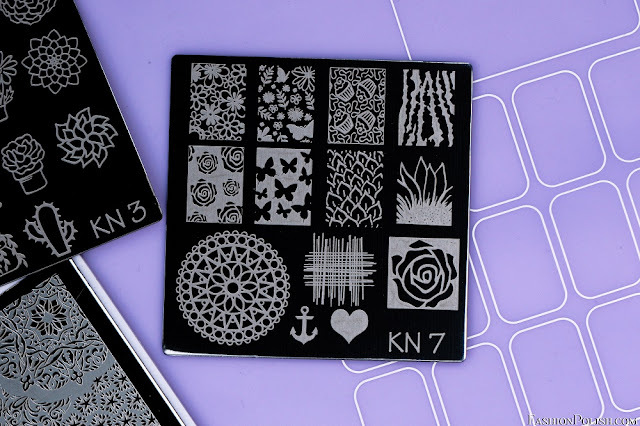 I have a stamping review to share with you today, featuring lots of DRK Nails stamping goodies! 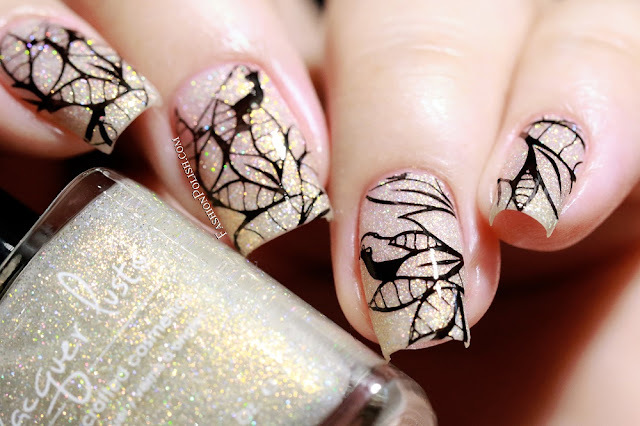 For my first nailart, I used the Magic Garden plate, super jelly stamper and black stamping polish over Lacquer Lust Moonbeam. 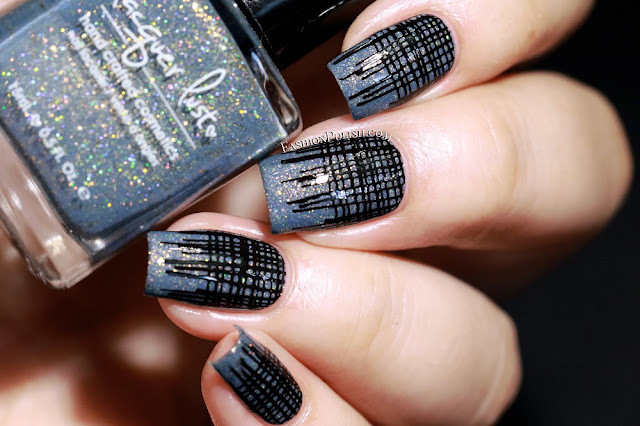 Next, we have the Kelly Negri / Esmaltes da Kelly KN7 plate, super jelly stamper and black stamping polish over Lacquer Lust Stormy Seas. 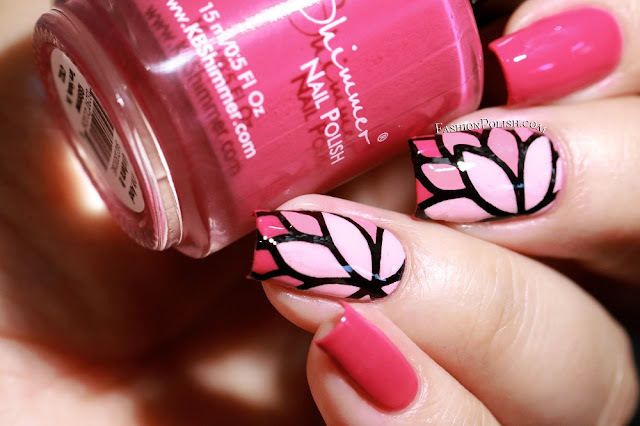 And finally, reverse stamping accents with the light purple mat, super jelly stamper and black stamping polish over KShimmer Grin And Gerbera It, OPI Flip Flops & Crops Tops and What's the Double Scoop. 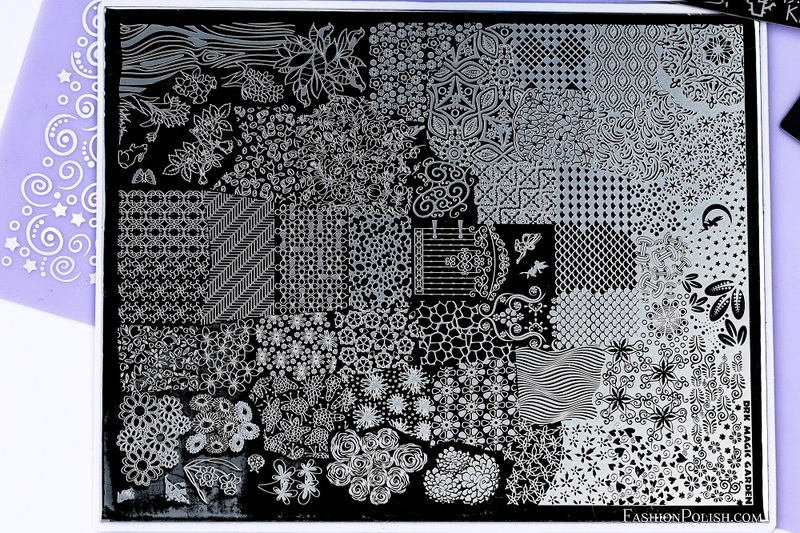 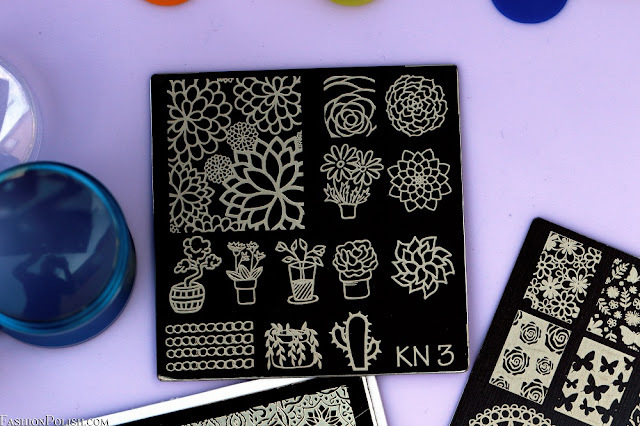 I loved stamping with DRK Nails products! The mat was easy to work with, the plates perfectly etched, the black nail polish extremely pigmented and the stamper picked the images really nicely. I'll just mention a bit of leftover glue on the DR XL plate while removing the protective film but nothing remained after a quick acetone swipe. So all in all, I couldn't recommend these more!